Insights is a digital news and article destination that delivers relatable and impactful stories, spurring dialogue through content from a diverse set of trainer and industry voices. Here is a sampling of what our thousands of Pilates instructors are saying about the inspiring education system. Join the movement and become a leader in your community. Pilates has led me on a journey of discovery...the discovery of a new passion, a passion for learning and teaching. 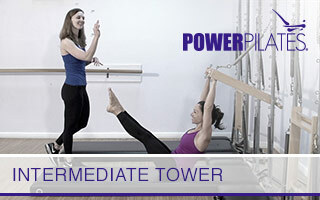 Power Pilates has provided me with the teaching tools necessary to be a compassionate and confident instructor. Through Pilates I look forward to helping people achieve a greater sense of well-being in their daily lives. Thanks for everything! The weekend training was amazing! The teacher was phenomenal, and I learned much more than I expected to. You all shared a wealth of knowledge in a wonderfully supportive environment, and I left feeling completely charged up and inspired. My greatest challenge was (and always has been) speaking in front of groups and that experience alone afforded me the greatest growth! So thank you, I hope to come back as often as my schedule allows to take classes at Power Pilates, and continue to grow as a teacher. I definitely had a great experience during my training. The instructor was great! 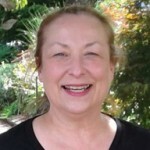 She was really positive and took a lot of time to get to know her students and help us along the way. Again, the weekend was invigorating and intense. There is always something more to learn! I love how this training helps us teach! Its all about your student! I feel like I got a lot out of the weekend and can't wait to further my education! Thank you for following up! Just a quick thanks to you, Power Pilates. My experience was fantastic!! I feel refreshed and excited to get back to my studio and truly TEACH my clients again. Thank you thank you thank you!